In the name of Allah, the Beneficent, the Compassionate, the Wise: As-Salaamun-alaikum! I would like to address the philosophical essence of the ‘Quintessential Karbala,’ or the Pledge of Allegiance made by Imam Husain and members of the Ahlul-Bayt, the Holy Family, in their flight from Medina under the despot, Yazid, and their subsequent slaughter, their capture, (presence) in the palace of the governor of Kufa, their humiliation of Yazid’s court in Damascus where the survivors were brought shackled. The emblem of Karbala, the ideals Imam Hussein died for, were character, moral integrity, uncompromising virtue and piety to perpetuate the purity of Islam itself, to shield it from the corruptions of venal opportunism most of the religions of the world have undergone. It was to halt the devolutionary or self-destructive process of faith through nihilism that Imam Hussein made the Supreme Sacrifice, so that the Islamic continuum could be rooted in the evolutionary and expansionary spectrum of life. 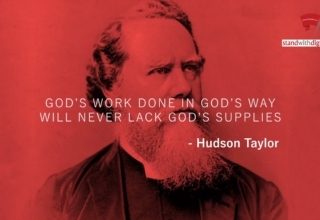 Again, how could we expect less of any champion of faith, human rights uncorrupted leadership of social policy? In the West, the Socratic tradition symbolizes that choice, the death Socrates chose over compromise to corrupt statehood! 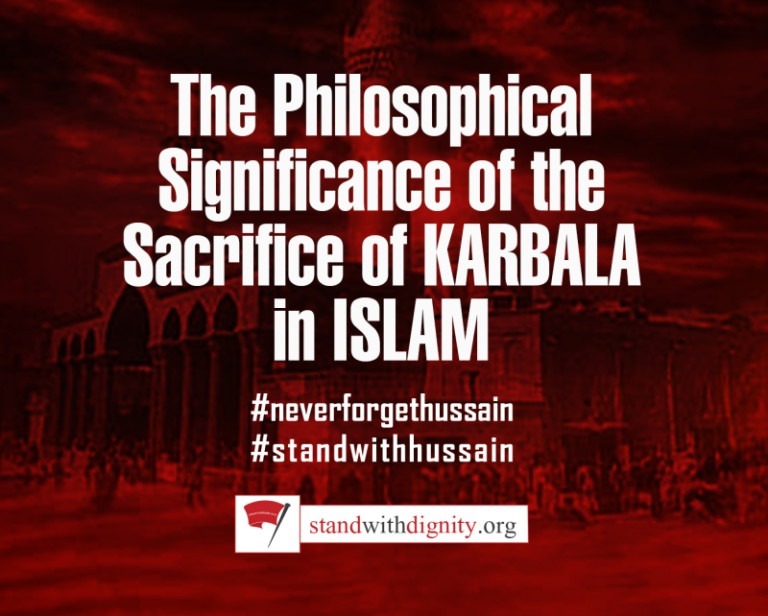 But that was merely a philosophical and political choice; Imam Hussein’s Martyrdom was a Pledge to Allah, and to Islam alone – which means the unconditional surrender to God, without parallel. Furthermore, how could the most shining example of the Holy Family of Islam, the son of Ali and Fatima Zahra, be less than the embodiment of the Supreme Sacrifice of his life and the lives of his dearest kin, to save mankind from moral servitude and subservience? 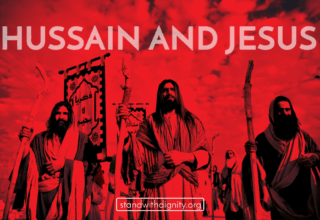 To understand the Sacrifice of Imam Hussein is to go back in time to the primal Pledge of Allegiance of Abraham, who offered his own son to God, thus submitting to Allah alone! That pledge was a moral challenge between the ethereal submission to a Higher Cause, a Higher Order or Power, over servitude to worldly power, as personified by the despot, Yazid, in the case of Imam Hussein. To have submitted to Yazid as the Caliph of Mecca would have signified Imam Husain’s acquiescence to political corruption and tyranny, to moral turpitude, and a degeneration of the Islamic principles. This capitulation by Hussein would have fostered a decline of Islamic society through progressive erosion of the integral faith. And this was precisely the subversive corruption of the faith Yazid’s Machiavelli intrigues targeted in order to undercut any unifying principles of the Islamic body. Islam was a revolutionary faith in that in subverted the very order of governance and dominance through imperialistic oppression, epitomized by Yazid. Islam liberalized the inequities of hegemonistic social systems under former pagan imperialism, and as all minorities, the urgency of Islam was viewed as subversive by tyrants and imperialists. So the first Pledge of Imam Hussein was as a champion, a Deliverer of the Oppressed, in order to maintain the liberalizing force of Islam and its integrity violated through moral acquiescence to imperialism, which as I said earlier, would cause its internal erosion, falling into Yazid’s political game plan. We have diverse modern examples of this Crisis of Conscience in societies, in the uncompromising Freedom Struggles from Bosnia to Kashmir, Palestine to Chechnya, Afghanistan the Indian and Afro-American Muslims, the Caucasus, Inner Mongolia and Eastern Turkestan in China, Africa, Iran, the Middle East. All the Muslim minorities engaged in sustaining the integrity of the Islamic faith are not only ‘Shaheed,’ Martyrs, but they are also committed to man’s inalienable rights to self-determination, justice and dignity. While they have been demonized and stereotyped by negative anti-Islamic propaganda as ‘terrorists,’ ‘radicals, ‘militants’ or ‘fundamentalists’ their Cause is essentially of a Higher Order and commitment to man’s inalienable rights. 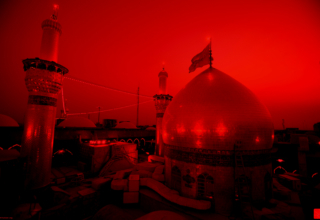 Imam Hussein’s sacrifice symbolized the unifying, principles of Islam inherent to that transcendent and ethereal Cause not rooted in political power, territorial integrity, nationalism, tribalism, partisanship and factionalism, sectarianism (neither Shia nor Sunni), but focused on Allah alone, on the body Islamic in toto. In this sense, Imam Hussein’s sacrifice transcends other political struggles throughout history, such as the tenacity of the Greeks of Sparta, Leonidas at the Battle of Thermopylae, The battle of Stalingrad in World War II, and others. 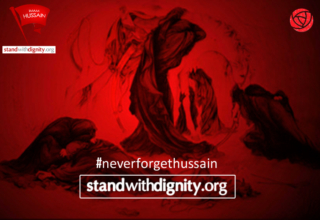 Universal through this transcendent element, Imam Hussein’s martyrdom was that refusal to acquiesce before a cowardly compromise, to collude and participate in self-destruction and the moral decline of a society and a faith. All freedom Struggles and Human Rights movements stand for that ideal. Zainab, who left her adoring husband, Abdullah bin Jafar, to follow her brother into the bloodbath of Karbala, saw her sons, Aun and Mohammad, slashed to death before her eyes. Her brother’s decapitated head was laid before her. She was brought shackled in chains to the court of Yazid at Damascus, where she best summarized the meaning and fragility of political power. Yazid, gloating over his victory, declared to Zainab: “Allah gives the kingdom to which he chooses!” Zainab replied, “Take head, Yazid, for Allah also takes account of your sins and gives you a long rope to hang yourself!” We see the law of accountability by leaders in democratic Islam. Zainab was also one of the most erudite and intellectual ladies of Islam, and taught the Tafsir of the Quran to ladies. Don’t we, in this injunction, recognize the profile of so many government leaders today who are sellouts or puppets to the puppeteers of imperialism, no matter what cover or camouflage it comes under? Of course Islam personified by Imam Hussein is revolutionary! Western moralists like Etienne de la Boetie of France, advocates of man’s rights to individuation, could have echoed Imam Hussein’s words on slavery. In the Discourse on voluntary servitude, La Boetie prescribed a definition of tyranny and the psychological dominance of tyrants. He said the urge to freedom was man’s natural state, that event the animal resisted capture because captivity was unnatural in that it denatured it! That liberty is natural to the human condition, and that liberty dies by being denied. Liberty is not unconditional, and that if one yields to expansionism or the tyrant, one makes him mightier. This is the key to the dilemma Imam Hussein had to face; only his choice was between the Pledge of Allegiance to Allah over allegiance to the political tyrant. The choice was self-destruction, or preservation of Islam and the Muslim peoples, societies, the enduring value structures transcendent and inextinguishable over time. This is the ethereal message of Karbala to all mankind, indiscriminately. A similar dilemma in Christianity faced the Archbishop of Canterbury, Thomas Becket, who refused to corrupt the religion in favor of the laws of the King of England, Henry II, for which he was executed. The French author, Jean Anouilh, wrote a play entitled: “Becket, or the Honor of god.” The Final Choice was again between the Honor of God, over the Power of Man. 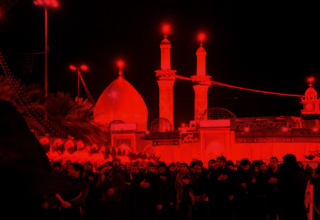 In the name of Allah, the Compassionate, the Merciful, let Imam Hussein’s martyrdom to save our souls not have been in vain; and when the Last Trumpet calls and our own time comes, let us not be afraid to make that Supreme and unconditional Sacrifice for Islam. Academic discussions among my people are a means of giving life to the dead hearts provided their aim is to understand my commandments.